Longford UB7 After Building Cleaning Commercial & Residential | Quality Property Care Ltd. Contact our experts today by calling 020 3746 4287 and get your property normal again with out professional after renovation cleaning service. We use only the finest of liquids to guarantee you get what you’ve called us for. 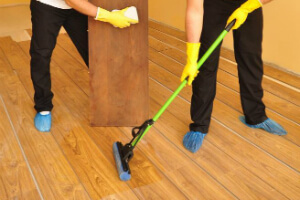 We can work only after construction work has completely ceased as any interference with our cleaning may lead to further contamination of the property and make the work more difficult. In terms of scheduling you can call us, enjoy same day booking with minimum hours available, no strings attached, contracts and deposits required. Bath left shining, cleaned and rinsed, with shower recess scrubbed, all shower fittings and glasses cleaned, with special attention to the vanity and basin. Toilets are taken care of with proper scrubbing and disinfection including their base and behind the tank and around the outlet pipe, with a proper polish for all mirrors. We provide vacs for floor hoovering and mopping with an eye for the finer details like light switch and power socket cleaning. Tiles and fittings will be cleaned and left shining, waste bin cleaned from any leftovers and paint and left shining with additional attention to door frames top to bottom. The company Quality Property Care Ltd. offers very efficient and highly professional home and commercial post-renovation cleaning services in Longford UB7 and the area. The cleaners are all very thoroughly assessed, vetted, trained and monitored. They use very efficient and yet safe (for you, your pets and the environment) cleaning solutions and the latest cleaning technology. The after builders cleaning service is very well structured and organised, which allows the team of completely insured cleaners to be as expedient as possible and to deep clean the premises and make them liveable as soon as possible after the builders have finished their work. The professional cleaning service after builders can be useful to both business and private customers. All people who are moving into a newly built office, house and flat can use the professional help of the reliable and experienced cleaners from the company. The service is suitable for industrial customers, as the company can provide all necessary specifications and certificates. Call Quality Property Care Ltd. or write to the customer care service now to book your after builders cleans now!